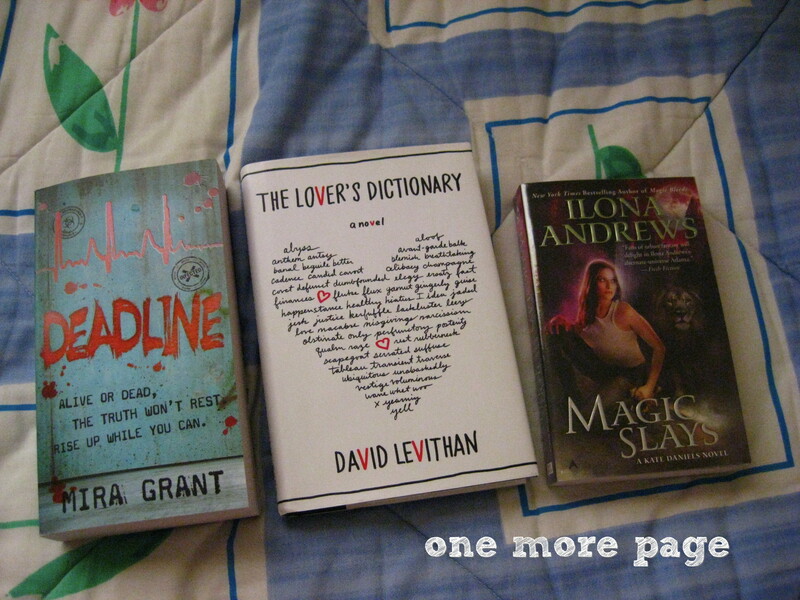 It’s been a very bookish week since I arrived from Europe, and I am definitely not complaining. This week was special for Filipino readers because The First Filipino Reader Conference happened last Wednesday, and it was also the 32nd Manila International Book Fair (it’s still happening at SMX now, so if you haven’t been there, you still have time!). 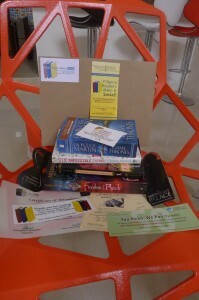 If you missed the ReaderCon, you can read what happened at the @PinoyReaderCon twitter (tweeted by yours truly :) ). Oh, and a lot of bookmarks, too, from the ReaderCon. A Game of Thrones by George R.R. Martin – yes, I’m jumping into the bandwagon. 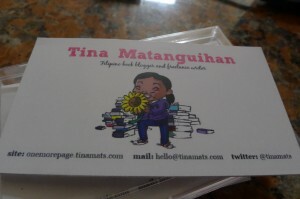 I got this from National Bookstore in Mall of Asia. I wanted to get the boxed set, but I ran out of them in the Book Fair. I was supposed to get all four books, but man, they’re thick. 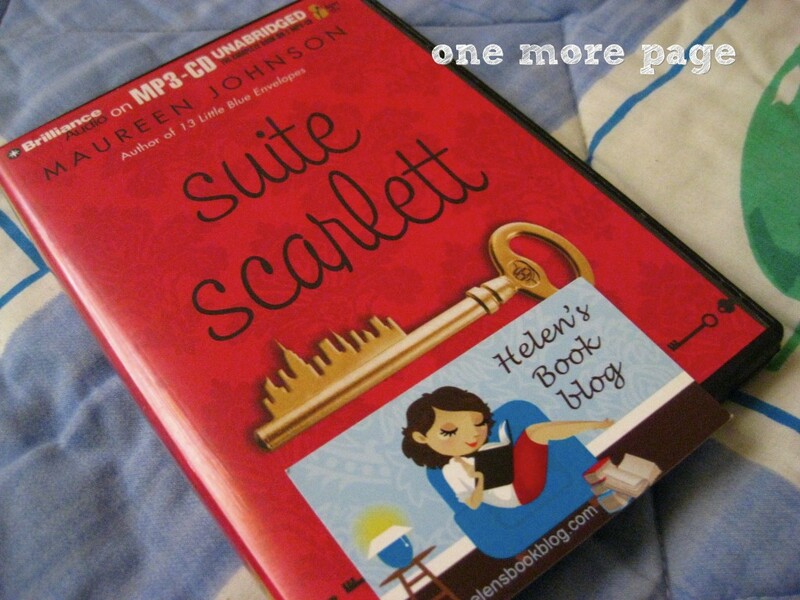 So I decided to get just the first book for now and I’ll decide later on if I want the others. Again: man, this book is thick. 835 pages! A Conspiracy of Kings by Megan Whalen Turner – yay paperback! And thanks, Book Depository. :) I had this pre-ordered a few weeks back. I remember those days when I’d go crazy during Book Fair season, but I think I’ve mellowed out. 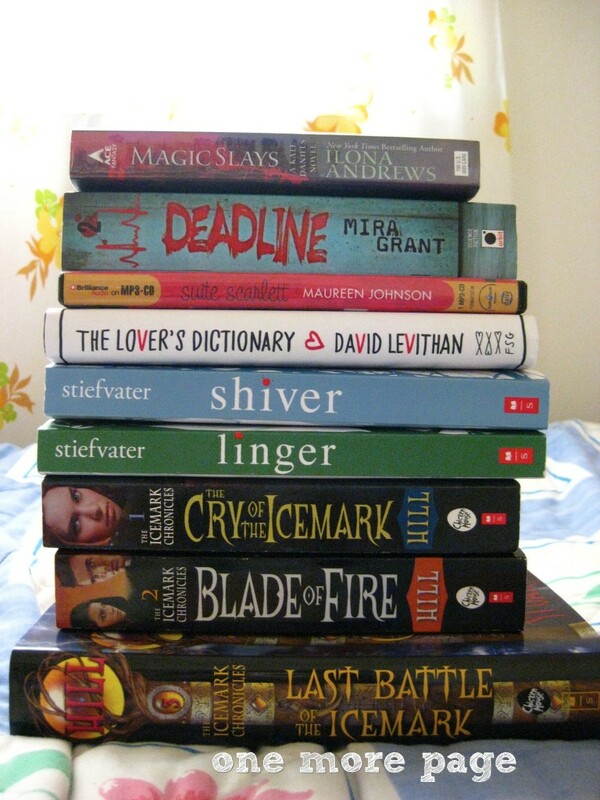 That, and after paying for some Europe bills, I need to be more prudent with my book spending. That, and I really still have too many books in my TBR pile, and I really want to whittle it down further. Is this me maturing as a book hoarder? Gasp. 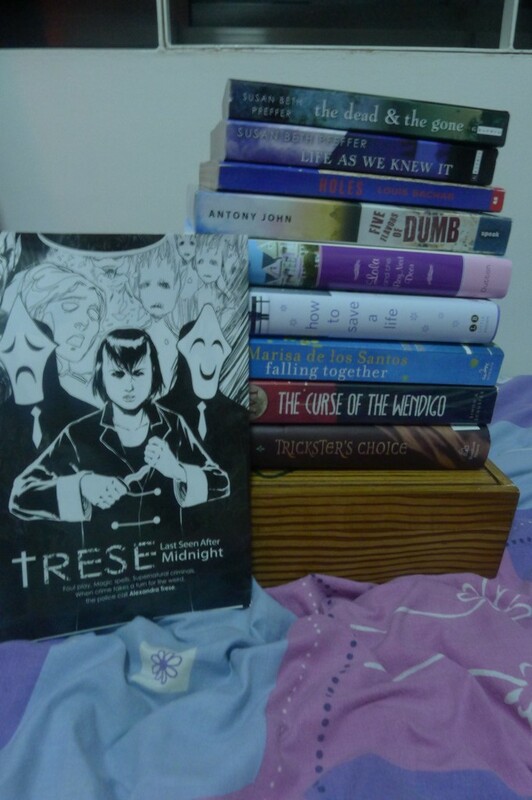 So just last week, I realized that I have some 10% discount voucher from Book Depository for their summer sale. I felt bad for not using it, so even if I know there isn’t really anything I want to read now now now, I figure I could use it for pre-orders. 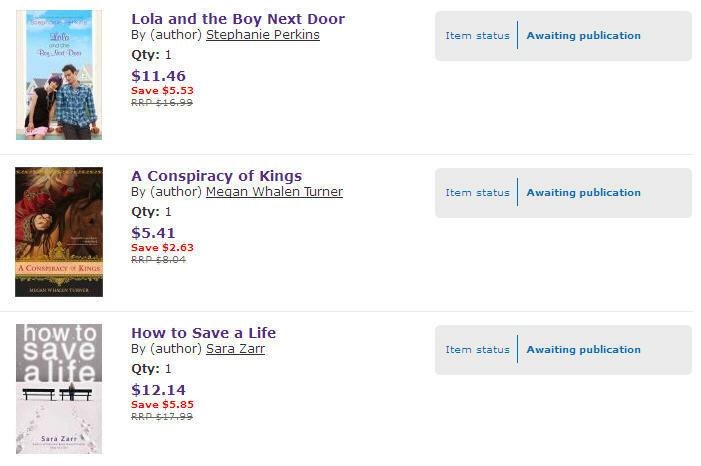 You know I never really thought I’d be pre-ordering any book when I started buying books with my own money. I’ve always seen things like, “Pre-order this from Amazon” and all that, but since shipping is so expensive here, I can never do the pre-order thing. The shipping alone would be more expensive than the book and it’s just not worth it. When Book Depository started shipping here for free, I still didn’t pre-order, thinking I can still wait for local bookstores to get it when it’s out. Then I remember buying A Monster Calls from Book Depository last April as a prize for one of my birthday giveaway winners. 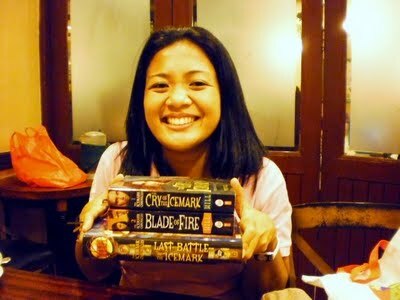 I remember being impressed at the price of the book – less than $10 for a hardbound illustrated book. What a value, right? I decided to order it too, and was I glad I did. 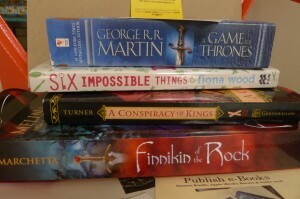 Now it’s a whopping $18 in Book Depository. 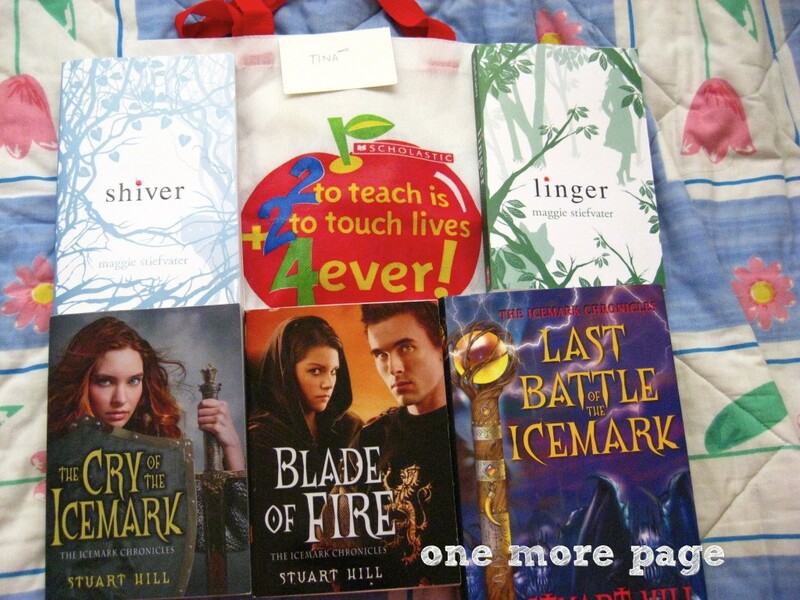 All books were 25% off + the 10% off from the voucher. And they’re all books that I want to read. I know it would take a while before I get them, but I’m not in a rush, anyway. I like the idea that I “have” them now, and can read it as soon as its shipped. I’m not sure about pre-ordering print books in Amazon, but I think the customer isn’t charged until the book is shipped, right? That’s one thing that makes me raise an eyebrow at Book Depository — you get charged immediately for the pre-order. I’m sure you can request a refund to cancel your order, but I think you still have to email? I don’t know, maybe it’s easier if the customer won’t have to go through that channel to cancel a pre-order. And speaking of Amazon, I pre-ordered some Kindle ebooks a few months ago because there were some books that I can’t wait to have in print. However, pre-ordering Kindle ebooks doesn’t really have much perk as far as discounts are concerned because there are hardly any discounts. The only perk is…well…you get it quick. So, have you tried pre-ordering? Do you pre-order as much as you can to get more discounts? Have you had pre-order horror stories? What’s the last book you pre-ordered, and why? Any other perks you got from pre-orders other than discounts? I want to know. I wasn’t planning to read A Monster Calls soon, because I wanted to save it for my slump days. I heard so many good things about this, but I savored the fact that it was patiently waiting for me on my shelf. But last weekend, after my friend asked if I knew if this book is locally available, I had that urge to pick it up and read it, thinking it shouldn’t take me too long. And if my fellow bloggers were right and this would also make me cry, at least I can do it in the privacy of my own home, right? It’s 12:07am. Our main character, Conor, wakes up from the nightmare, the one that’s been haunting him ever since his mother had a “talk” with him. He wakes up, thinking someone has called his name, but there was no one in sight, save for that yew tree by the churchyard on a hill near his house. When the yew tree turns out to be a monster, Conor finds himself unafraid, because there were far scarier monsters in his world. The monster is a wild, ancient monster who comes with four stories: three coming from him and the fourth coming from Conor, the truth that he has been hiding for so long. 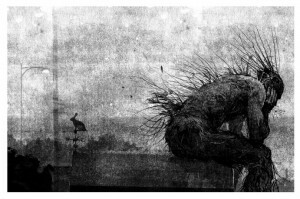 A Monster Calls is simple, really. It may seem like a paranormal or fantasy book from its title and the blurb and the cover, but it’s really a contemporary novel at its core. I haven’t read any of Siobhan Dowd’s work, and I’ve only read two of Patrick Ness’, but I didn’t really have much doubt over how good this book would be. What surprised me, though, is how this book left me biting back the sobs as I finished it during breakfast on Sunday morning. Sure, The Knife of Never Letting Go made me shed some tears, but this! A Monster Calls had me sobbing. How my chest hurt so much with emotion, and how close it hit to my heart even if I am — thankfully — not in Conor’s position. But I think that’s the thing. Anyone can easily be Conor. Anyone can easily be in his shoes, think his thoughts and find the same nightmare he wrestles with every night. But the thing is, not everyone can have “monsters” to tell us and help us face truths. I think this is why books like these are so important: in the absence of our own yew tree monster, we get this. We may not wake up with a monster calling our name, but we can always turn to a book like this and find important lessons that would give us strength to face some of the hardest parts of life. And what a havoc this story wreaked, my friends. Beautiful and powerful. 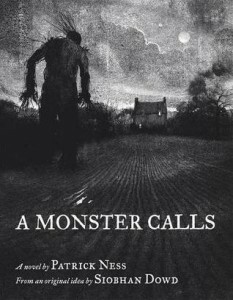 I definitely recommend A Monster Calls.